Eric Canete is apparently an artist who worked on Tron Uprising. He was live tweeting during last night's episode. It would appear that the series is most likely over. He's got a lot of good screenshots on there. If you view his tweets, check them out starting last night about 11 hours ago (as of my posting here). Sad. I do hope at least the show gets a good treatment on BluRay. It is simply gorgeous, and the animation is something I haven't seen on US TV before. Wow. This is the worst news I've heard in a LONG time. Wouldn't this mean that even if Disney magically decides to continue the series, there will be a long amount of time before the end of season 1 and the start of season 2? Wiki says there are 3 episodes remaining after Welcome Home: Rendezvous, No Bounds, and Terminal. Somehow, they show No Bounds and Terminal airing on the 20th and 21st respectively. So at least we have 3 more eps, unless they don't show them all. I think if its not renewed, we should all snail-mail disney a picture of Bit in the no position, and on the back write something like Bring Back Tron Uprising. I heard something like that got the show Jericho a second season. renderinfo2 Wrote:Wow. This is the worst news I've heard in a LONG time. Honestly, if I had to choose between us getting a two hour live-action Tron 3 or another season of Uprising right now, Uprising would win hands down. That's how much this series has impressed me. The writers deserve at least one more season to wrap things up properly. Or if not another season, then direct-to-video Uprising movies or something. For the property to just die after a single season would be tragic. Can't someone just ask Charlie Bean On twitter if the show is ending? LORD_Z3DD Wrote:Can't someone just ask Charlie Bean On twitter if the show is ending? i have a few times. no reply. why does it seem like everything is conspiring to f88king upset and depress me. I pray we can come up with something to express/convince Disney to produce at least ONE more season or at least a half season of Uprising episodes to properly conclude the series and that would lead into Legacy. SMH this is just depressing. Should it be true, and wouldn't doubt it is (considering how the show's time slots have been...or the lengthy hiatus), talk about very bad news. And it. had alot of potential that the writers could/should have explored. Disney totally blew it. But then there's already been enough talk regarding how they failed in the marketing and such from the start so...won't get into that. It's really a shame since Disney had packaged this correctly it would have garnered quite alot more of a following. And they already have quite alot considering the Disney X D web page. Either that or like some other series these days the costs are too high to continue producing. While some wish for a good Blue Ray some of us just wish for a good copy on DVD. Here's a thought however, I do know there are some series that are continued and released direct to DVD (known to some as OVAs). Especially if it's to tie up "loose ends". Not saying it would be considered. But would be nice if production went that route instead of leaving everything hanging. Let's not forget that this show is a TREMENDOUS effort to hire all the top name voice acting, highest quality animation, screenwriting (same guys as Tron:Legacy), and epic soundtrack. The investment must have been equally tremendous. So we may assume that it either has tanked so badly in ratings that it is fiscally irresponsible to continue producing it...or it would be fiscally irresponsible not to continue in an attempt to recover the investment made so far. With a midnight timeslot I think they have chosen to cut their loss and stop production. Disney is a weird channel to begin with, but that's another long rant. budleighsalterton Wrote:The investment must have been equally tremendous. 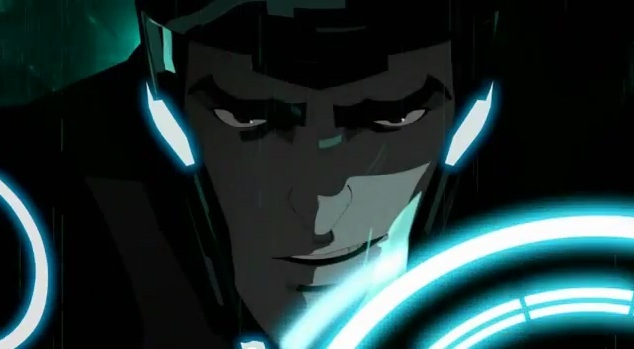 I feel that the quality of Tron Uprising is so good that it probably is an expensive series to produce. But I really feel Disney made most of it's investment in the series PRIOR to Tron Legacy being released. In other words, the money spent to produced the series was probably "green-lighted" prior to the Movie's release. It makes sense, because the series was announced even before the movie came out, with lots of details. I think the movie "utlmately" underperformed what Disney's expectations were. Even at $176m domestically and $228m worldwide, a total gross of $400m was far less than what Disney was hoping for. I think that by the time Disney came to that realization, the money was ALREADY SPENT (allocated) to produce the series. I believe that After 2010, the only money Disney spent "extra" was determining when to air the series, the commercials, and the promotional spots. Everyone can see that Disney wasn't going to spend a lot after that point, and ONLY RATINGS would justify extra expense on Disney's part. That didn't happen, and we are left at Monday midnight showings of episodes already produced and money already spent well before Dec 2010. That's my take on why no "Series 2", and why Disney seems to be mishandling the release of Tron Uprising so badly. Even though the show might be the finest animated series produced of all time (at least I think so), Disney isn't spending more without seeing a return on investment. They made that decision after Tron Legacy finished it's run in the theaters, back in Jan 2011, In My Opinion. It certainly explains a lot of Disney's decisions, even if I don't agree with them. ShadowDragon1 Wrote:why does it seem like everything is conspiring to f88king upset and depress me. I pray we can come up with something to express/convince Disney to produce at least ONE more season or at least a half season of Uprising episodes to properly conclude the series and that would lead into Legacy. SMH this is just depressing. ever since this series started i saw the writing on the wall. TRON uprising being on a channel for tweeners and the fact that no one, knew about the cartoon. Not even my tron friends from xbox live etc. So i have a friend that works for disney PR and ive been chasing different emails thru out this season just to express my conflicted views. ive come up w/ a few. but too little too late. i agree- ive never been this frustrated about a show. i thought Firefly was gonna be the all time mishandling of a show, but i guess this is right up there. The decision to only air the series on Disney X D and Not on the Disney Channel was a BAD decision. The marketing and advertizing was minimal and should of been better. IF Disney truely wanted to gain a larger viewer ship they SHOULD of aired the series on the Disney Channel or COULD of aired it on ABC Network right before "Once Upon A Time" (which has a huge audience). Why they did neither of these things boggles my mind. I'm tired of some divisions of Disney treating TRON properties like it's their "black sheep" or the "skeleton in the closet" of the Disney "family". SMH. ShadowDragon1 Wrote: I'm tired of some divisions of Disney treating TRON properties like it's their "black sheep" or the "skeleton in the closet" of the Disney "family". SMH. also w/ the acquisition of Star Wars it would have been a good idea to block this and clone wars together. but i guess we will never find out. Well then... I don't really know what to say. Under any other circumstances, I wouldn't be so disgruntled, but to know that this show could have gone so much further but was cut short, apparently because Disney made the wrong decisions, sort of aggravates me. What does this mean for the future of Tron? Will the entire franchise just disappear? 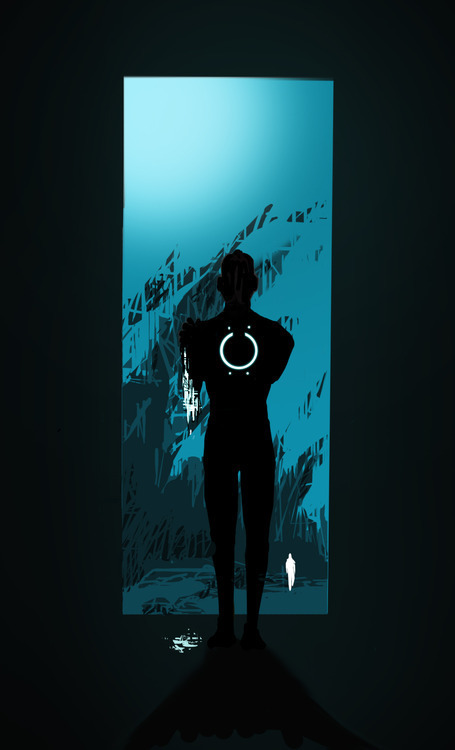 Or is Disney willing to take another approach to keep Tron alive? Will the so-called "failure" of Uprising have consequences on Tron 3 or any other Tron-related projects? I'll take that article with a grain of salt. No official source was cited and it's hearsay from one of the artists on the show, who are not really the first to be told anything. I'll keep the faith on this one. Until the word comes from Charlie Bean there is still hope. I wholeheartedly agree. I was just passing along more news. YES i'd be HAPPY with at least 4 or 6 NEW episodes of Uprising to Properly wrap-up the series and tie-up loose ends story arc/plot lines wise and lead it into Legacy time period. It doesnt have to be a full 'season" just 6 episodes (with the sixth being an hour 20 min special "final" epic conclusion episode) That's all I'd love to see.